Kids age group was from 2.5 years to 15 years and it was a challenge to actually think of things to put in the favor bags keeping in mind their age and their likes and dislikes. So after long discussions with the client and helpful inputs, here are some of the things we came up with. So if you haven't guessed by now, it was a huge task to accomplish for me (with my in-laws visit around the same time and me not being well) but I am so glad I managed to pull through. So first up are the favor bags done from scratch. 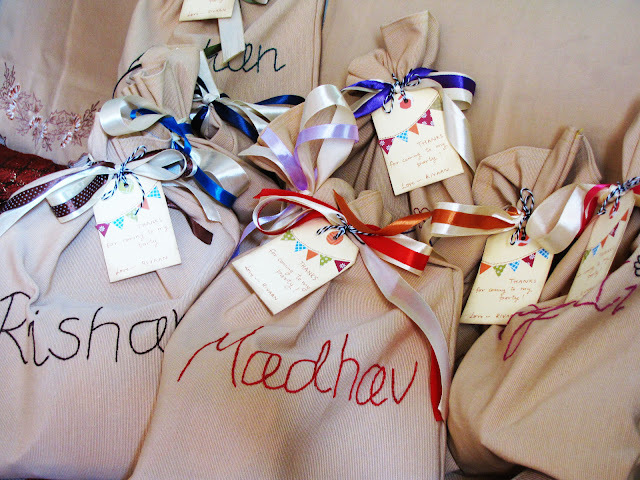 I hand-embroidered each kids name before stitching up the bags and then tied them up with some pretty ribbon and thank you tags. The good thing is that the bags are of a decent size and can be reused later by the kids! I will be back sharing the rest of the items from the order soon. 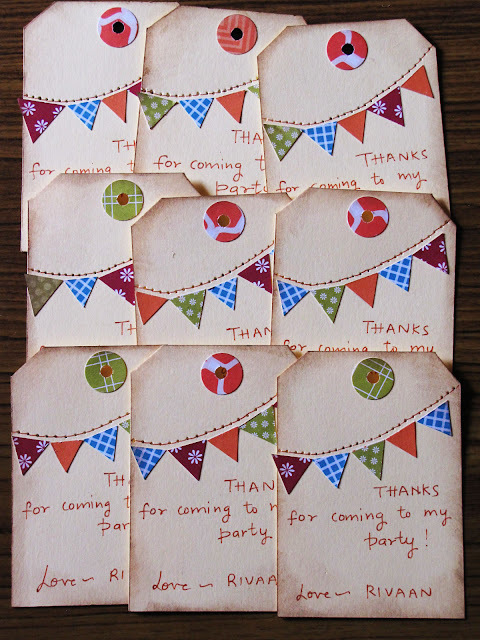 But don't forget to let me know what you think of my maiden attempt at the favor bags. 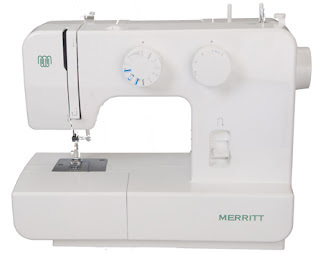 And since I mentioned that I sew the bags, I have to tell you that my super awesome husband gifted me a sewing machine this month, something that has been on my wish list for quite some time. Happy Days! Have a great day! See you soon again! Its jus AMAZING!! beautiful work!! Can't wait to see the rest of the stuff in the bags! Same here.Can't wait to ssee the rest of the stuff in the bag.Also The sewing machine has been on my wishlist for last fifteen years and I need to learn stitching too.i love your cool idea of hand embroidering the kids names.Super cool...You are going to be one helluva mom. eeee....don't tell me, u have hand-stitched all the bags? My gosh, Ujjawal...This is stupendofantabulous! They look just awesome! Amazing work Ujjwal Dee!! loved teh tags. 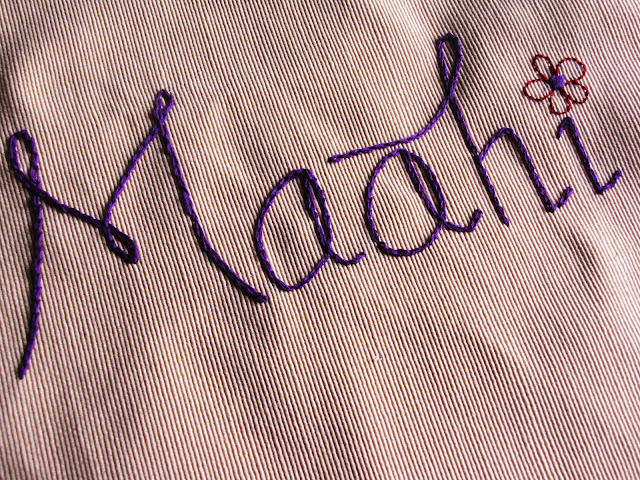 eager to see the other stuff and STITCHING! wow!! So So pretty!! Loved them..Can't wait to see the other stuff! What a lot of hard work... Great Job Ujjwal ! amazing!!! looking forward for the remaining pics! 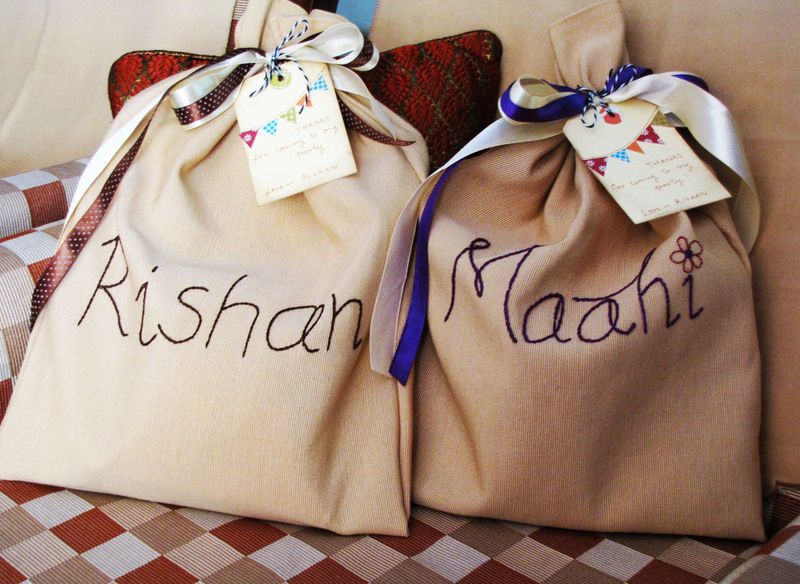 Those bags are amazing, Ujjwal, and the tags are so cute! You are super talented and I love everything you make! Hooray for hubby getting you a sewing machine. What a sweet guy!! LOVE your favor bags! So functional and adorable! Lovely...now that I finally know what the key chains are for, I am quite taken aback by the amount of work you have done to get these goody bags in order...creating, coordination...OMG...great work...love the bags and the ribbons..
wow such details Ujjwal!! These are so bespoke!! You are good at embroidery and sewing. 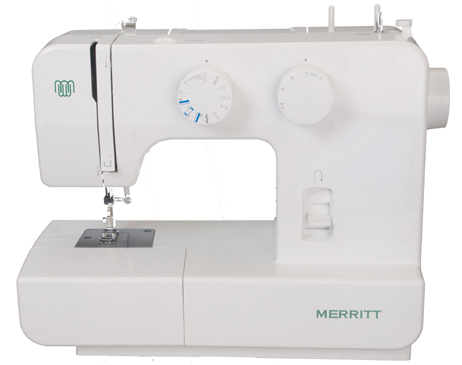 You know i also had one of those mini sewing machines but before even I could experiment with it, it went kaput. Your bags look gorgeous with those tags and ribbons. super super super! i too have started using a sewing machine to save time. The pencils are looking super cute !! !